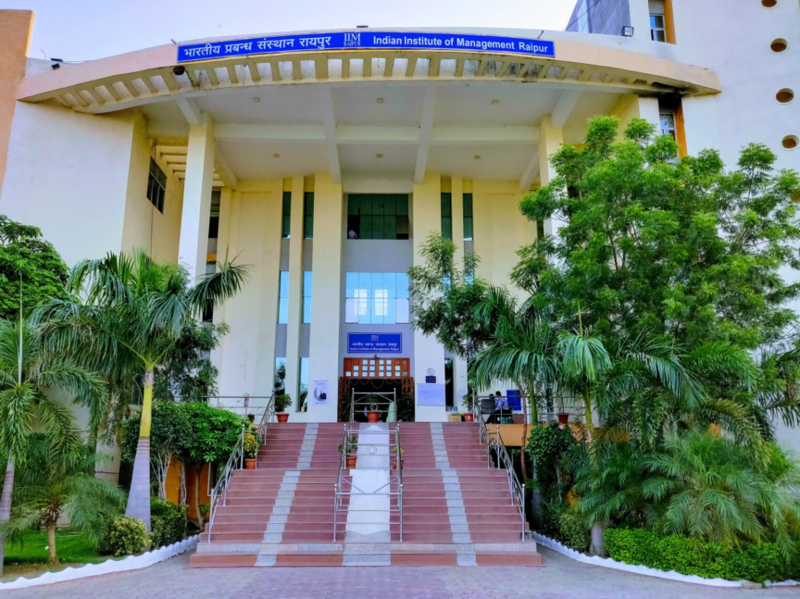 It’s been 16 days since I have joined IIM Raipur and I feel there is one thing that distinguishes IIM Raipur from rest of the IIMs is its campus. No, I am not talking about its new campus in Naya Raipur (Well, that will also be unique in its own way). It is the temporary GEC campus in Sejbahar, Raipur. Main building encompasses the academic block as well as the HOSTEL. The classrooms are just a few steps away from the hostel rooms. This allows me the extra 20-30 min in a day which would not have been possible if the hostel had a separate building. The best place in the campus is our dorm rooms. You can have discussions, interaction with 6-7 students, from the different part of India, within a single large room. This helps in understanding different perspectives coming from people having different socio-economic and geographical background. This experience helps best when you are analysing a case study or finding a solution of a real-world problem. The hostel mess is near to Badminton court so even if you are watching a FIFA world cup match in the evening with your friends, you can always watch the live Badminton match as well and support your batch mates and seniors. The lobby area in the building is where you find students having late night discussions, be it a discussion on case studies, assignments, group activities or normal discussions. Also, there is a well-equipped gym inside the campus building which helps in keeping the body fit. Now when we look outside the campus building, we have cricket and football field, an open gym, basketball court and park. These all facilities are shared by 2 other institutes as well. In my perspective, the limited space in the campus has worked as a multiplier in creating a close bond between the students and helped them in creating a network which will last till lifetime. Also, it demonstrates how limited resources can be utilized in the best possible manner. IIM Raipur campus is like a large family where everyone is closely bonded with each and every one and nurture future managers, who will use this campus experience in their future endeavours. Which ABG Company would you want to work at and why? I would like to work for Hindalco Industries Limited in Aditya Birla Group. Hindalco is an industry leader in aluminium and copper and metals, having the presence in 12 countries with 51 units and 35000 strong workforce. This makes me proud as it is an Indian company. I would like to work in supply chain domain because I have worked as an SAP consultant and have functional knowledge related to manufacturing and purchasing department. I would like to enhance my capabilities in SCM by being a part of this company.